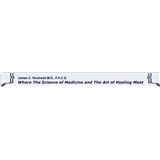 James Rockwell, MD (Seattle) - Book Appointment Online! As a Seattle native and a second-generation physician, I opened my practice 14 years ago. As a child I saw my father, also an otolaryngology’s, strive to provide expert and personal medical care to the Seattle area. Impressed by my father’s dedication and commitment to helping people I followed him into the world of medicine determined to provide the best care possible. My philosophy is that listening is the key to good communication. Truly understanding a patient’s needs develops a strong and caring bond between patient and doctor. In my practice you are not just a number and your concerns are treated with the respect they deserve. Fantastic. I've been to a couple of ENTs and dr Rockwell was great. Superb manner. Very knowledgeable. And made me feel right at ease. Took care of me very well and efficiently and we have a good plan moving forward. Would absolutely recommend.